Cherokee "Hard-Working" Labs are made with Visa by Milliken to be wrinkle-resistant, stain-resistant, colorfast and extra durable. 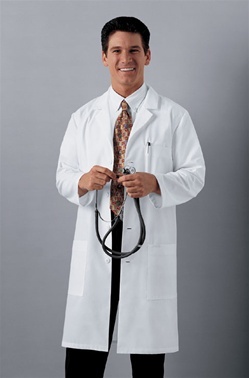 This 40" Unisex lab coat has two roomy patch pockets, a chest pocket with a pencil stitch and a vented back. Available in white only.